The Black Hood's return to the cruel and dangerous streets of Philadelphia continues as the critically acclaimed Dark Circle Comics series welcomes artists Robert Hack (CHILLING ADVENTURES OF SABRINA) and Greg Scott (Sam Hill, Strange Attractors) for the next chapters of "The Lonely Crusade." 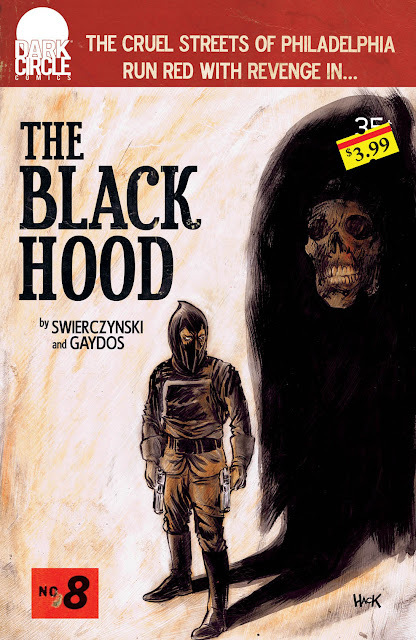 Robert Hack, artist of the hit Archie Horror series CHILLING ADVENTURES OF SABRINA joins writer Duane Swierczynski (Judge Dredd, Canary) as the guest artist for January's THE BLACK HOOD #8, bringing his twisted and grim style to the pages of Swierczynki's crime noir thriller. "We were honored and extremely lucky to have a talent like Michael Gaydos on art for six of the first seven issues of eight The Black Hood,” says Dark Circle Comics Editor Alex Segura. 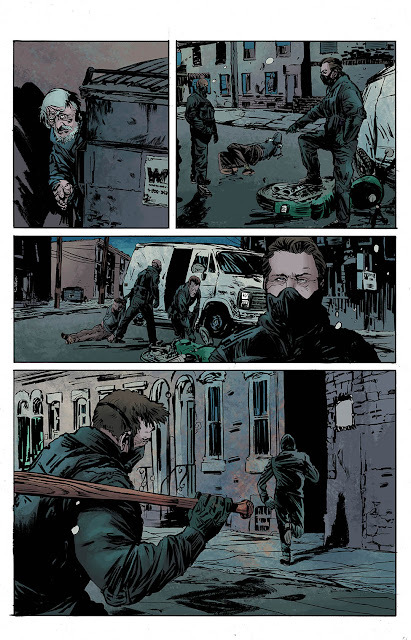 "Robert, paired with our great series colorist, Kelly Fitzpatrick, keeps the book’s gritty, rough vibe but adds a layer of discomfort and uncertainty, which perfectly matches Duane’s brooding script." 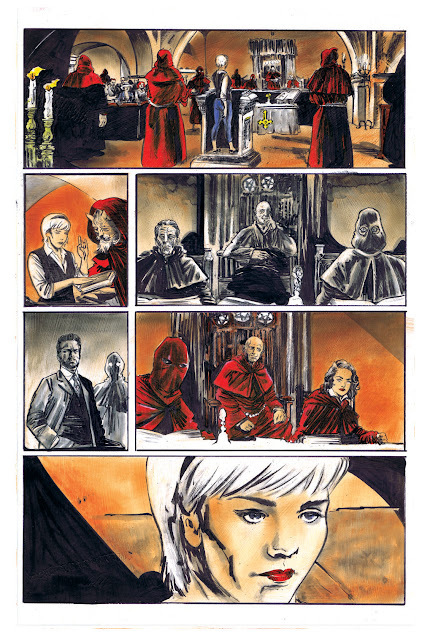 "Duane is doing some brilliant work and this script is a blast to draw," said Hack. 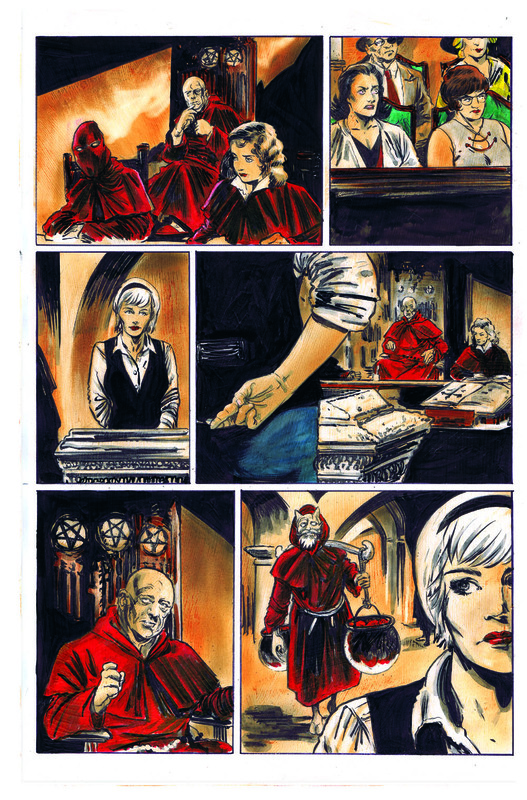 "Drawing two monthly comics at the same time — as daunting as that sounds, when the comics are this good, they are worth the inevitable ulcers." 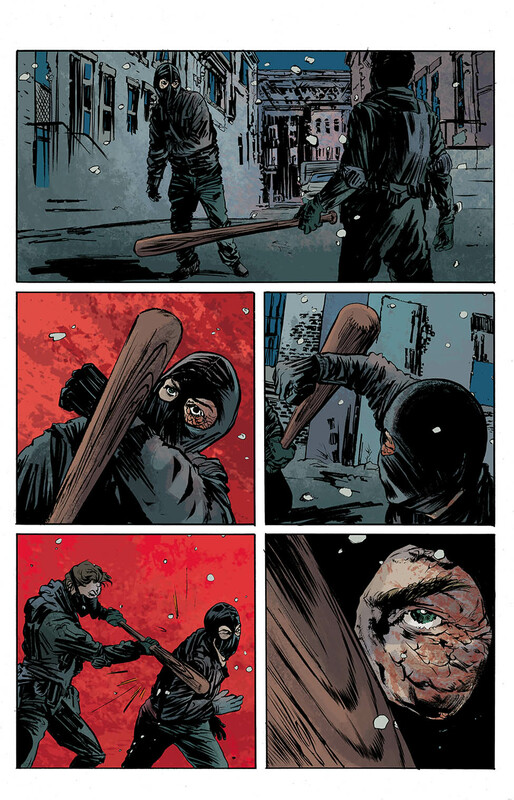 Greg Scott joins THE BLACK HOOD in February as the new regular series artist, jumping head-first into Officer Gregory Hettinger's one man fight against a new criminal force known as The Crusaders. "Greg maintains the dark, moody tone of the first seven issues while injecting his own detailed, noir style. I think fans will be very pleased with his work and we’re excited to get a nice, long run of work out of him and Duane,” Segura added. 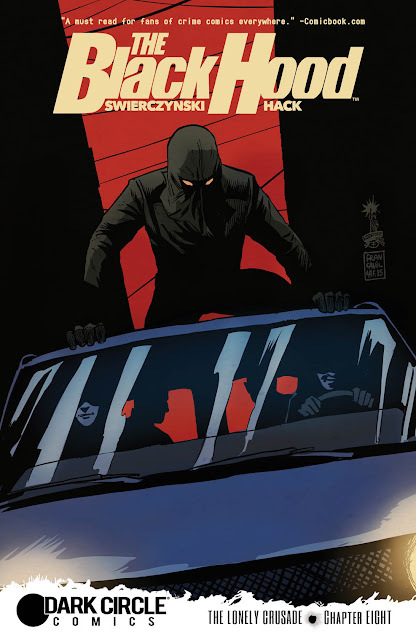 THE BLACK HOOD #7 is on sale now from Dark Circle Comics, available at comic shops and on the new Archie Comics app for iOS. 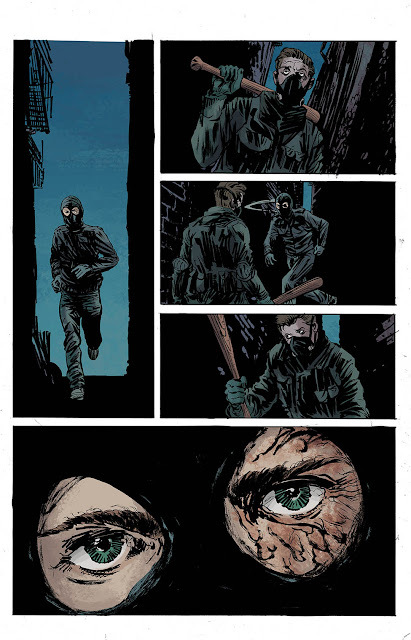 Look for THE BLACK HOOD #8 and #9 starting in January 2016. 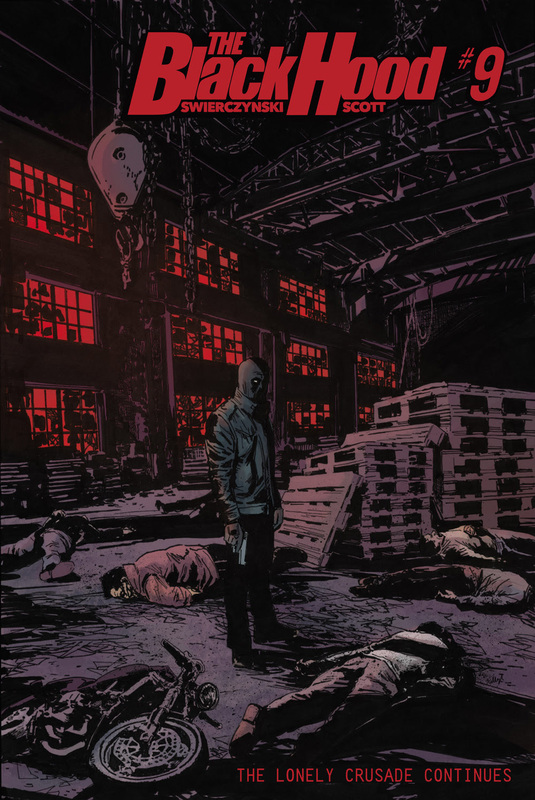 “The Lonely Crusade, Part 2” The Black Hood has tracked down the “Crusaders”—a mysterious group of vigilantes who have vowed to clean the “scum” off the streets of Philadelphia. But their first encounter leaves our man beaten, humbled... and hungry for payback. The Crusaders, however, have some payback of their own in mind. Especially when they stumble upon the Hood’s real identity... 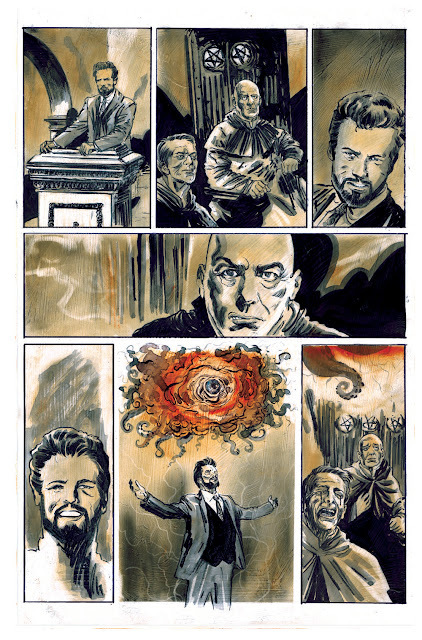 Artist extraordinaire ROBERT HACK (Chilling Adventures of Sabrina, The X-Files) as he takes over art duties in this special issue.